Photos of Lowell, Indiana, located in southern Lake County and is one of the only remaining cities in Northwest Indiana with a population over 10,000 to be completely surrounded by rural country farm land. 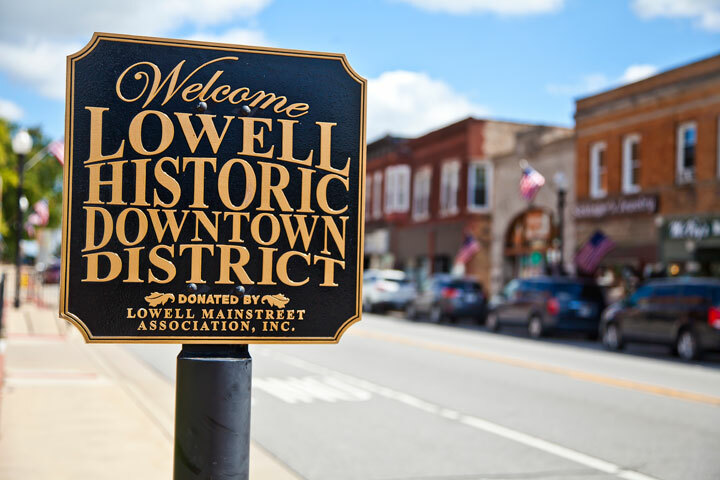 Lowell, Indiana continues to grow and to be a popular place for Northwest Indiana as well as native Illinoians to relocate. Enjoy a walk through the historic downtown district. Architecture lovers will enjoy the turn-of-the-century old structures located throughout downtown Lowell. Popular photos of Lowell, Indiana include the downtown historic district, Buckley Homestead, Lowell High School, and more.